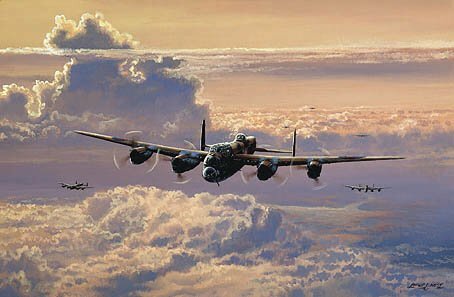 With the sun setting behind them fully loaded Lancaster bombers from 57 Sqn. from East Kirkby, Lincolnshire, make their way out over the English Channel on route to target. Each crew member knew the dangers ahead but gave of their best at all times.